This is the first Julia Spencer-Fleming novel I’ve ever read and I thought it was an enjoyable read. Her protagonist is a female priest of a small Episcopal church in an upstate New York town called Millers Kill. Isn’t that a great setting for a murder mystery? Come to find out kill means the river running through the area. Being in the Midwest, I have never heard that term. We call our waterways rivers or creeks, and occasionally maybe a crick but nothing as interesting as a kill. The story starts out with the protagonist, Clare Ferguson finding a baby on the steps of her church in December. Who and why would someone leave a baby there like that? The story introduces you to some of the residents of Millers Kill, some good and some not so good. Kept me guessing till close to the end. Clues were spread out so that you didn’t feel cheated when everything was revealed. I especially liked the little romantic twist. The hero is a police officer Russ Van Alstyne who doesn’t go to church and lets Clare know from the beginning that he questions his faith. The author explains a enough about the denomination so that we know that even though Clare is a priest, she is able to marry. There are sparks of interest between Clare and Russ but the twist is that Russ is married, making it a forbidden romance, not because she is a priest. I plan to read more of this series. Clare is a strong female lead and Russ is a good Beta male lead that feels natural when the two work together. The author described the setting so well, I could feel the cold and snow they had to trudge through and it made me that more grateful for the mild winter we’ve had so far here in Iowa. Any mystery lover should enjoy this series. Thanks to Library Thing again, I discovered a new author. Well, at least new to me. On another note, I have been working on my own novel, slowly progressing. Developing my characters, setting, and plot a little more with each writing session. I have finally concluded that I will never be able to sit down and outline a story from start to finish and complete it. Once I have outlined the story, it feels like I have already told it and lose my enthusiasm. I have decided that I have to plot out just enough to feel like I have some structure and a little direction, then just write. So for now, I have plot points determined and each time I sit down to write, it gives me a direction but I have to discover how I will get there. I may write myself into a corner and have to back track. That’s okay. For now, I’m enjoying the journey. Currently reading Mary Higgins Clark‘s “I Heard That Song Before.” My Sisters In Crime chapter decided we needed to read a romantic suspense for February. Tell me a little about your writing process. Do you outline everything first and then write or do you let the story unfold as you go? Also what are you reading now? Next week, I have a guest blogger, Lois Greiman. Today my local chapter of Romance Writers of America met to retreat. One of the members who had to drive the furthest, also brought breakfast. A great egg, sausage, and hash brown breakfast, homemade cinnamon rolls and orange juice. Most of us stopped at the local Caribou Coffee for our shot of caffeine and then we focused on writing until 12:30. After lunch we went straight into a workshop on using cliches and ended with each one of us sharing the goal, motivation, conflict and inciting incident for the story we are currently working on. Do you determine your characters’ goal, motivation, and conflict when you plot your story. Do you plot, or do you sit down and write letting the story tell you where it wants to go? Love spending time with my writer peeps and look forward to the next time. Actually it won’t be that long. Our monthly meeting is next Saturday. 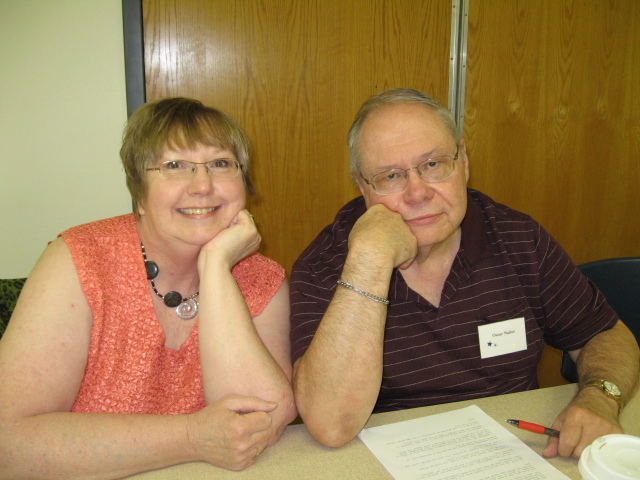 If anyone lives in the central Iowa area and is looking for a writer’s group. My RWA chapter and my Sisters in Crime chapter meets the third Saturday of every month. Romance in the morning and mystery in the afternoon. Let me know if you’d like more information and check out our website – http://www.iowaromancenovelists.org/. For Sisters in Crime Iowa you can find us on facebook. What have I been reading? I’m half way through ‘Maybe this Time‘, by Jennifer Cruisie. If you like ghost stories, you need to read this one. It has plenty of humor which should be no surprise but it does have a few spooky moments and a great story line. I did guess that her inspiration was ‘Turning of the Screw’. Her blog says she took the story and told it the way she thought it should have been told. Very entertaining. I recently finished reading ‘The Girl Who Stopped Swimming‘, another story that surprisingly had a few ghosts too. This was an audio book I listened too during my commute to and from work. The author narrated it and she did a superb job. Loved the southern accents and her ability to read in very distinguishable voices. Loved the relationship between the sisters and the authors ability to weave all the subplots together with the main story into a tapestry of emotion, action, and conflict as beautiful as if it were the finest literary silk. Will watch for more from Joshilyn Jackson in the future. The holidays felt like a blur. So many things to do and so little time, I enjoyed the time with my family and I did manage to carry out most of my personal traditions but many didn’t feel so important this year. I managed to get the tree up the Tuesday before Christmas and the presents wrapped the next night. Instead of setting out the Christmas Village, I left it packed away. I can remember years when I was wrapping presents Christmas Eve knowing they would be opened later that day. I hated those years. I used to decorate almost every room and put up two trees. I don’t try that hard anymore. A person could drive themselves crazy trying so hard to be perfect. I no longer seek perfection. I hung red ribbons on the outside lights, a big wreath at the top of the stairs and I set out my big Santa Clause next to the tree and called it good. I bought candy instead of making it. I shopped a little bit each week so that it wasn’t a mad dash to buy everything in one shot and though it was still hectic, it was doable. I learned something important from the holidays this year that I intend to carry over to my writing. I don’t have to do everything. I only need to do what is important. My word count did not grow very much on my current wip. With the holidays, I did feel a little overwhelmed so instead of trying to meet my writing goals, I fit in what I could each day. Instead of actually writing, I continued to note story ideas, build my characters, and work on plot and structure. I know that I need to quit with the perfectionism, especially with the first draft or it will never happen. I can accept that the first draft won’t be perfect. I also snagged a new critique partner. Someone who was right in front of me looking for someone to work with and I am so glad she approached me. Carrie belongs to my local RWA chapter. 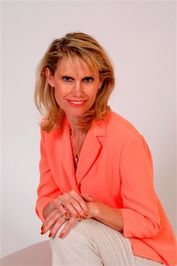 She is our 2012 Board President and she has written a non-fiction book about Winterset, Iowa. You know that place where Bridges of Madison County was set. We plan to start critiquing in February, so now I have to actually start writing. Having a partner who expects something from me will make me produce. I hope to be able to write at least one blog a week but forgive me if I skip once in a while and know that I am working on my novel. When I do post, I will try to write about where I am in the process as well as what I have been reading. As far as reading, I finished ‘I Am Half Sick of Shadows’; the latest Alan Bradley novel. I love the little protagonist Flavia De Luce. She is an expert with poisons and chemicals and somehow always helps the local police solve murders. If you haven’t read this series you really should check it out. I am currently reading – a paperback of Jennifer Crusie‘s ‘Maybe This TIme.’ and Claire Cook’s ‘Life’s a Beach‘ on my nook. I normally try to read only one book at a time but have found that while the nook is re-charging it’s nice to have a real book handy.